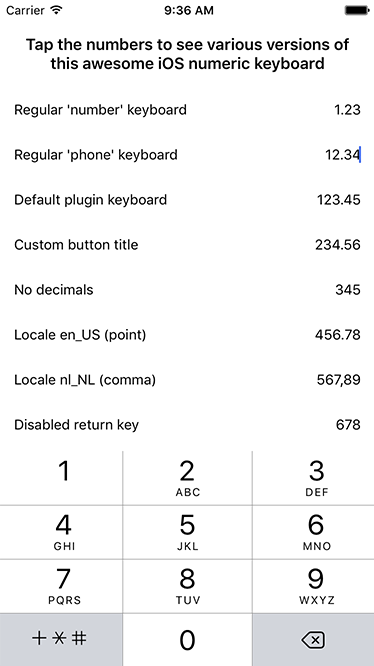 Handy and elegant numeric keyboard for iOS NativeScript apps. 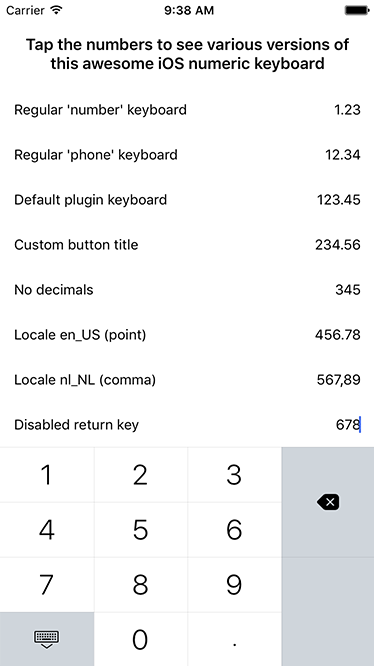 On Android we fall back to the regular numeric keyboard. For iOS. 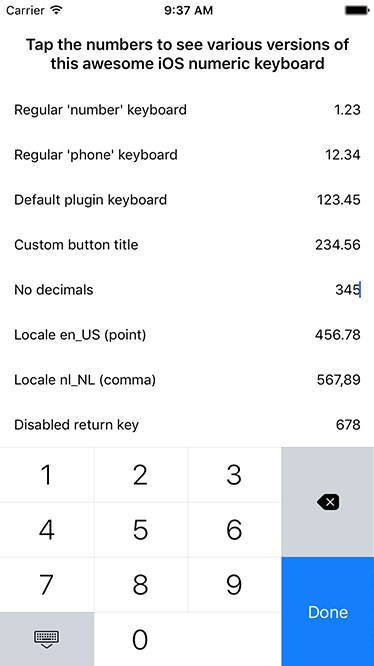 Falls back to the best platform-provided numeric keyboard on Android. Note that the iPad UI looks a bit sleeker than shown in the screenshot below. BREAKING CHANGE in plugin version 4.0.0: we used to extend a TextView, now it's a TextField, because I finally hacked my way around a problem that prevented a TextField from emitting a textChange event. Note that unless you use the decorate() function this will not affect you (bar some now-fixed UI glitches). 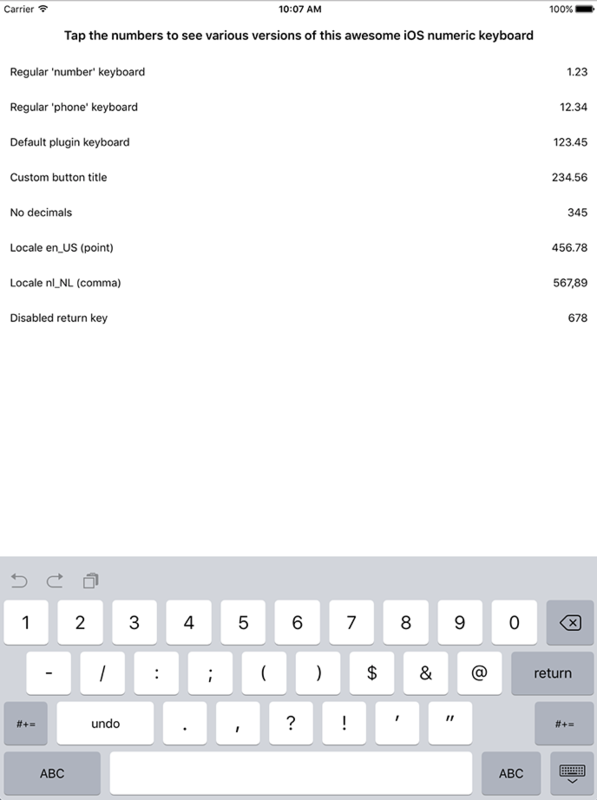 Check out the demo to play with the keyboard. 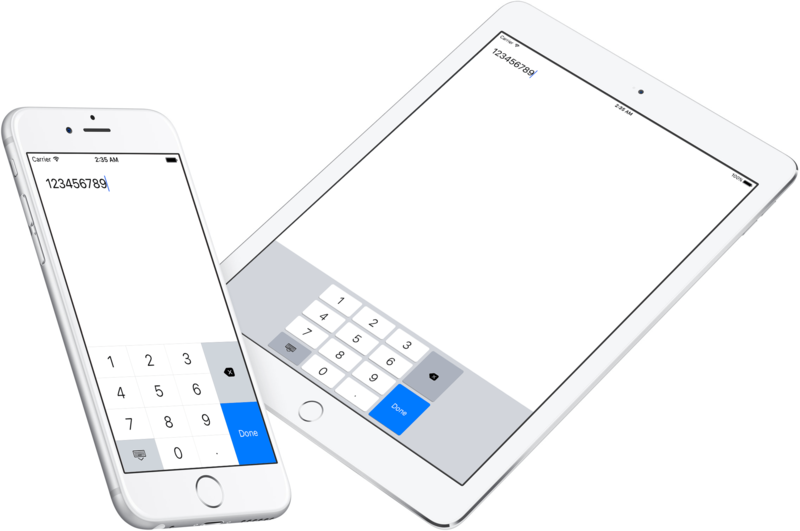 You can run it by typing npm run demo.iphone / npm run demo.ipad at the root of the project. 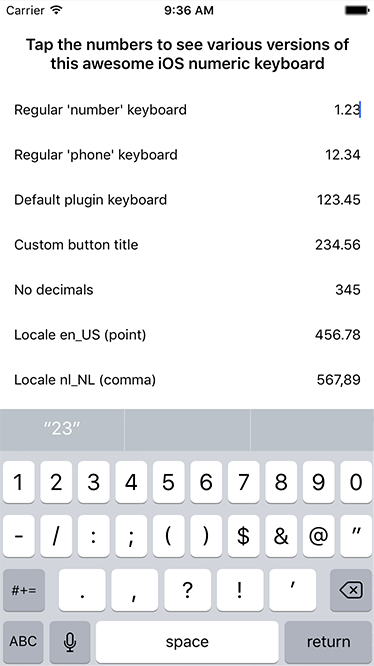 This plugin wraps a native keyboard library and extends a regular NativeScript TextField. You can set any property you'd normally set on this widget (class, text, etc) and a few plugin-specific properties as well. 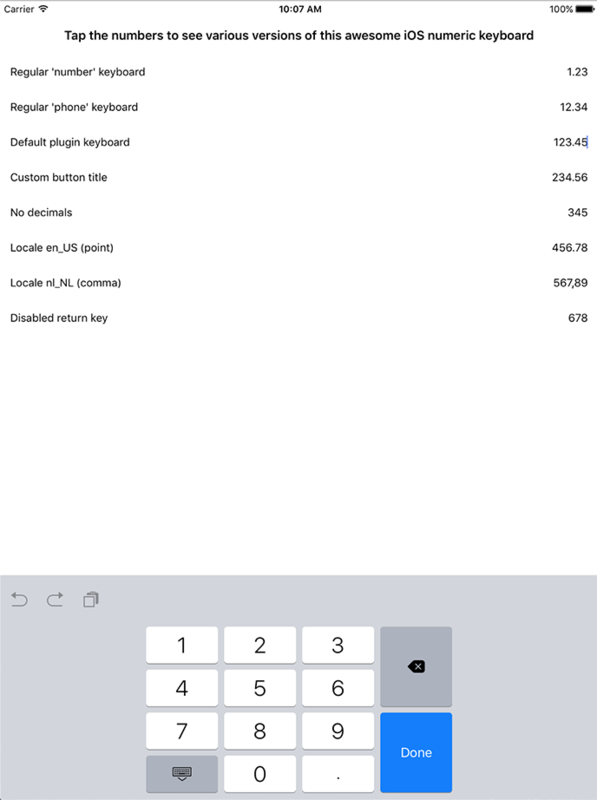 You can either define the keyboard in XML or in code - use whichever tickles your fancy. After adding the plugin you can add a namespace to your view (using NumKey below) and use the NumericKeyboardView tag to render a TextField powered by this plugin. Check this registerElement example, and this usage example. return true; // Return true to hide/collapse the keyboard, use false to keep the keyboard in place. 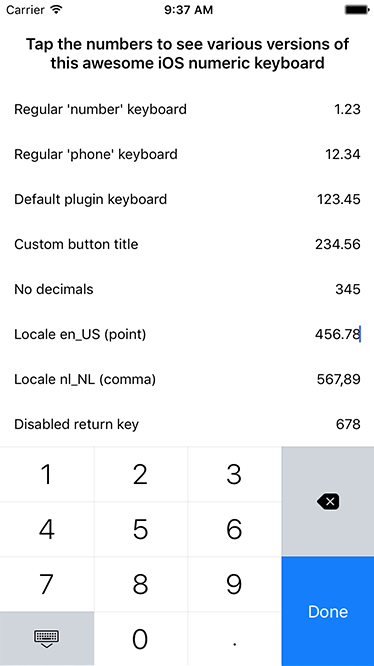 Note that on Android you'll just get a numeric keyboard as usual (since we specified keyboardType="number").